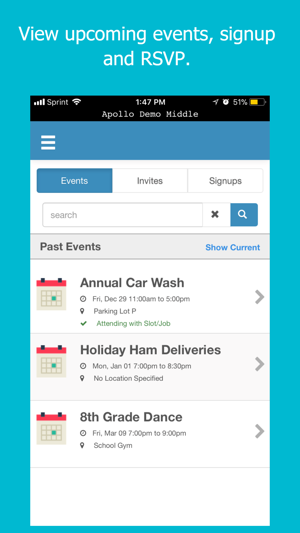 PTA and/or PTO school organizations can now keep in touch on-the-go with the AtoZ School App from AtoZ Directories. 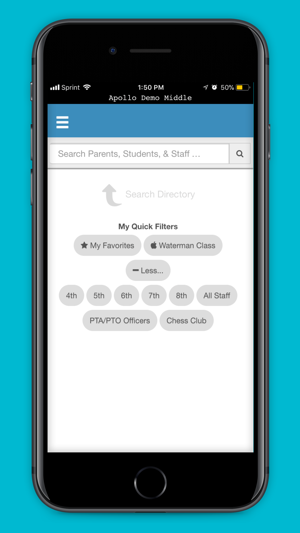 Members of participating Schools can look up their fellow classmates by grade level, student, parent, or teacher names. 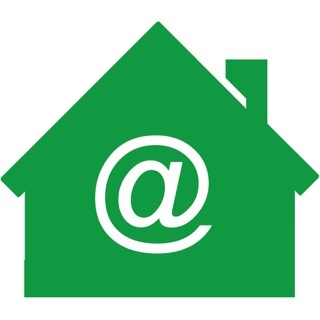 Contact them (call, email, text, even get driving directions) directly from the App. The School Directory and all family data contained therein is the sole property of the school community. 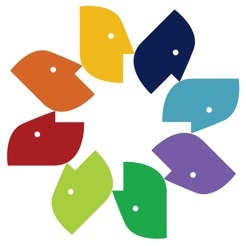 The Directory is provided to you for use only in connection with PTA(PTO)-sponsored activities and approved purposes. This Directory and the information within may NOT be used for solicitations, advertising, mass mailings or any other purposes unrelated to the mission objectives and policies of the PTA (PTO) or by any organization other than the parent group. Good for one thing: You want to call, text or email one parent. Bad for: Copying and pasting emails or cells for multiple parents. You have to manually input each email and phone number. While I appreciate this from a security standpoint, there should be a function within the app that allows you to select multiple parents. We’re trying to contact parents about my daughter‘s birthday party and it’s like operating in the dark ages. It’s no better than copying emails right off of the hardcopy directory, but in fact it’s even more difficult because I have to remember the email from the app, then switch screens, and go type it in on an email. So irritated with this company. Hello! Thanks so much for your feedback. The schools, not AtoZ Connect, control the data and the schools do not want to give parents the ability to easily create mass emails to a whole class or the entire school. With that in mind, we specifically built this app so parents cannot copy other parent information in bulk to create mailing lists. The directory administrator, teachers, room parents and other admins who are given this permission do have this functionality. However, you can very easily copy and paste emails address' from the desktop version to your email program one at a time which is much easier that coping from a hardcopy directory. 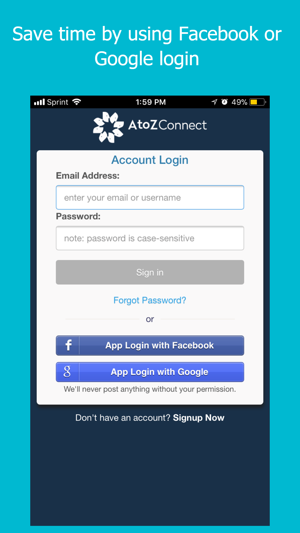 You can access the desktop app at login.atozconnect.com. I hope this helps! 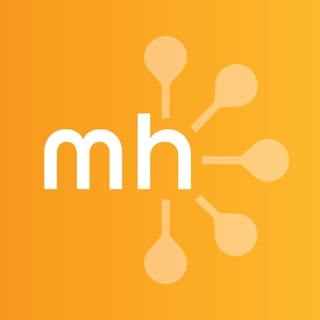 This app works great. I’m really thrilled to see how it’s it has improved. And I’m not sure why someone would have rated it poorly. I saw someone even asked for a refund which is odd because this app is free. Anyway I like it. It makes it easy for me to find my sons friends parents numbers so I can arrange pick ups and other things. Hi! Thanks so much for taking the time to leave such a kind review! 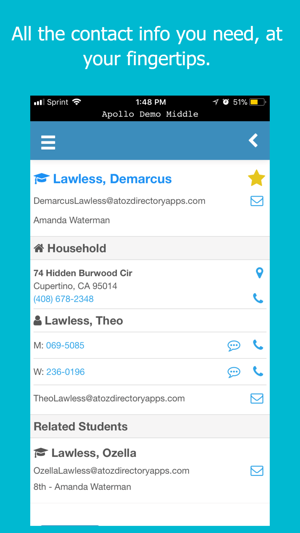 We are so happy that the new updated AtoZ Directories app is making things easier for you. That's our goal! My school has been using the app for years and it makes my life so much easier. I can update my info anytime and look up other parents info. 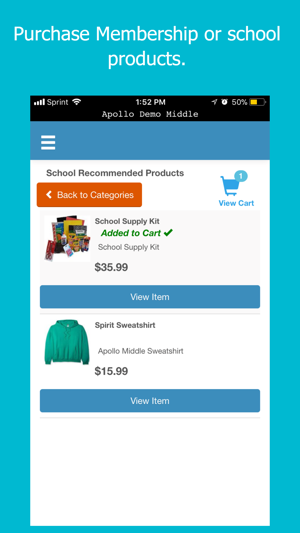 It’s added some cool new features like track my volunteer hours and pay for school stuff. Keep up the great work!!! Thanks so much @parentuser1234! We appreciate the postive feedback. We love that we are able to make a parents life easlier!